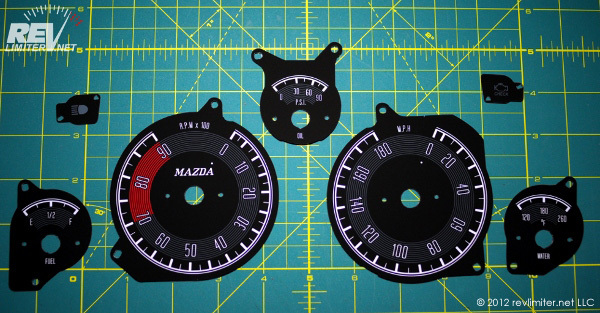 revlimiter Gauges (Version Stirling) - waiting for some attention. This section is a bit overwhelming at first. It is also OLD. The current method is listed in the main gauge install tutorial. There really isn't much work to do and all of is easily reversible. Don't worry. You can do it. 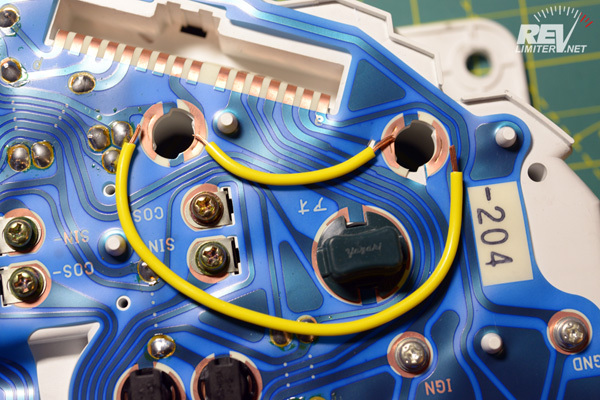 You only need to follow ONE of the wiring change sections. You only have one high beam indicator (usually moved above the fuel gauge with its own small face) and one CEL indicator (usually moved above the water gauge with its own face). Find the steps the correspond to your set of gauges and ignore the rest. If your new revlimiter Gauges feature new indicators for your high beam and CEL, you'll want to do the work in this section. It's not difficult, but these instructions may not get you all of the way there. US NBs should have no problems with these steps. 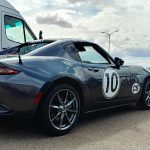 Non-US Roadsters may also have different wiring. You start out by prying off the small corner indicators. They're held in very tight. A blade or sharp screwdriver will help you get them out. The fit on your new ones will be as tight as the stock indicators. You'll need to apply pressure to get them over the little posts. Do this without touching the face of the indicator. A gloved fingertip directly over the post will work. Turn your cluster around so you're looking at the back. 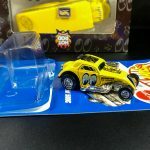 The high beam will be on the right side when looking at the back. 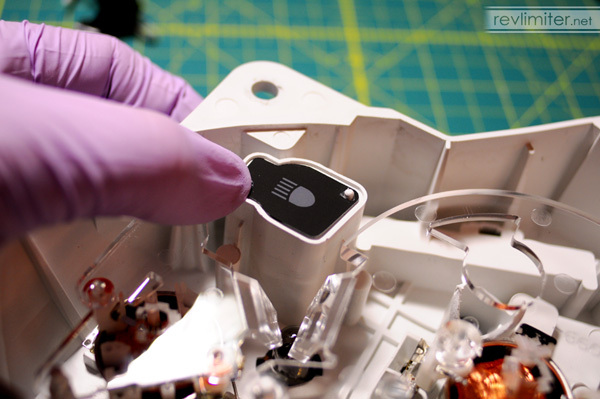 We're working on the far right bulb (originally the CRUISE indicator). 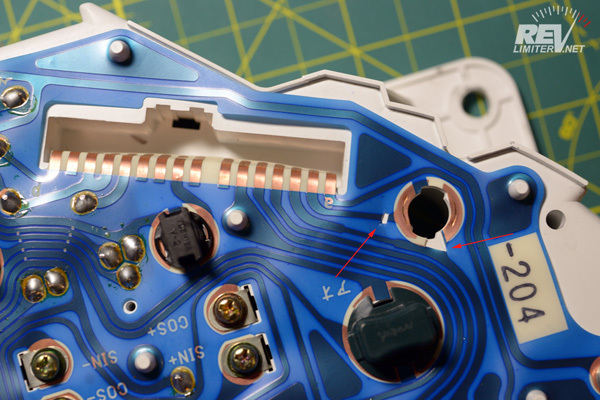 You need to cut both traces on the circuit membrane. I used an X-acto knife to do this. Just a small square out of each trace is enough. Make sure not to cut too far away from the socket. You only want to isolate the bulb, you don't want to remove the circuit that flows down and away from it. You MUST isolate the bulb. Don't leave any of the trace connected. 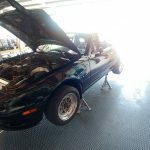 Remove the bulb from the OEM high beam socket. That will leave you with an empty socket. This is a good thing. Cut two jumper wires. 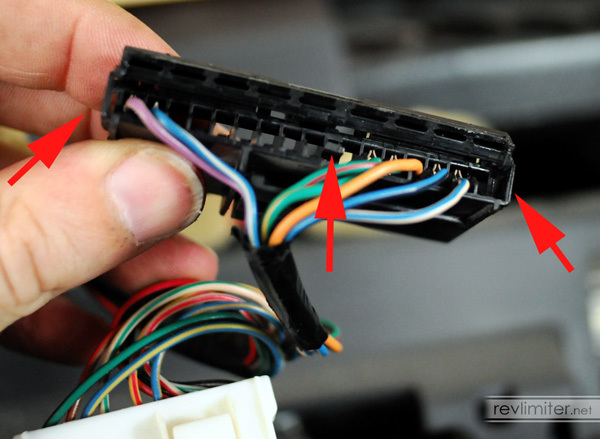 These wires will go from the original high beam socket to the new one, just as you see in the photo above. Strip the smallest amount possible from the insulation. Also use the smallest gauge wire you have available. 24 gauge is your friend. 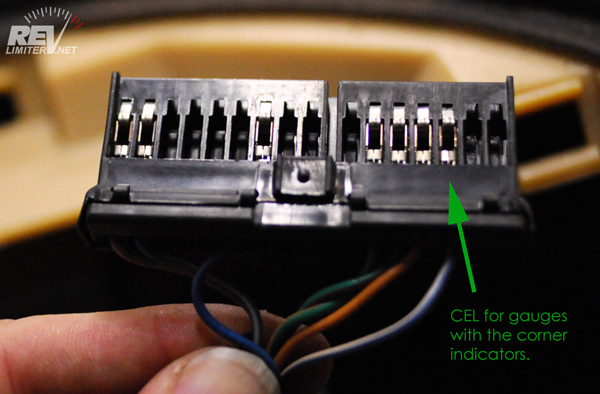 The jumper wires go underneath the sockets to make a connection. Place one end of both jumpers under the original high beam socket and twist. Then do the same for the relocated socket. Be gentle and make sure that there is a good connection. If your new revlimiter Gauges features a Check Engine Light Indicator Face (the small rectangular thing), you need to do the work in this section. It's very easy. You just pop open this little black connector and move a wire from one slot to another. 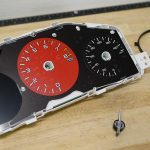 This enables you to keep your CEL and have a gauge style that doesn't require indicator lights on the speedometer. 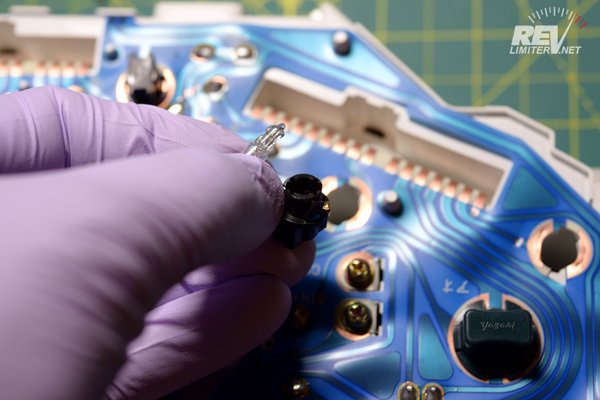 First task: pop open the back of this little connector. This is easier said than done. It's held closed in 3 spots. Pop open the center clasp first, then try to open up one side. If you can get both of these open, the third clasp is easy to pop. 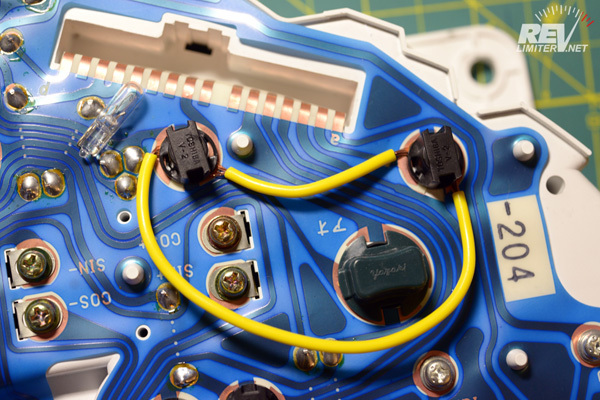 Each pin is held in the connector with a very small tab right in that black center area. 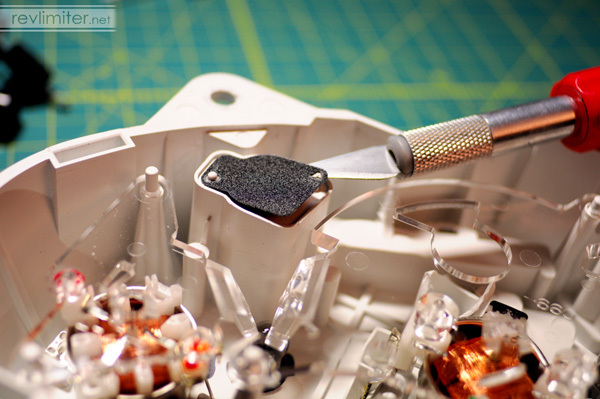 Take a push pin or jeweler's screwdriver, or anything really small and press that tab down. Then just pull the pin out by the wire. 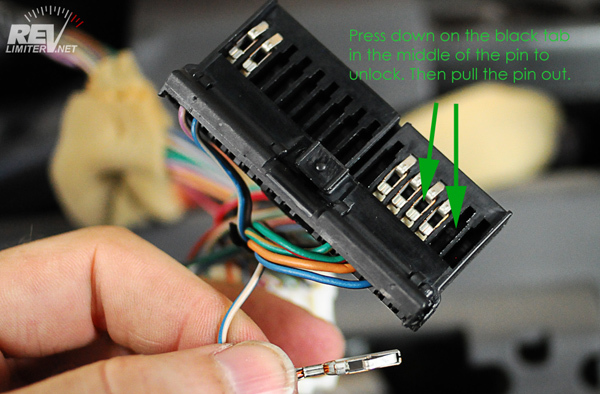 If you got the back of the connector open correctly in the last step, the pin will just slide free. 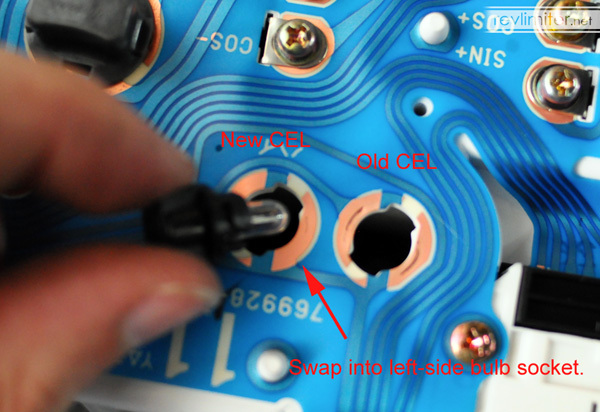 CEL pin: Moves from O (the OEM location) to N, the slot next door to the left. The shot above shows the pin moved. 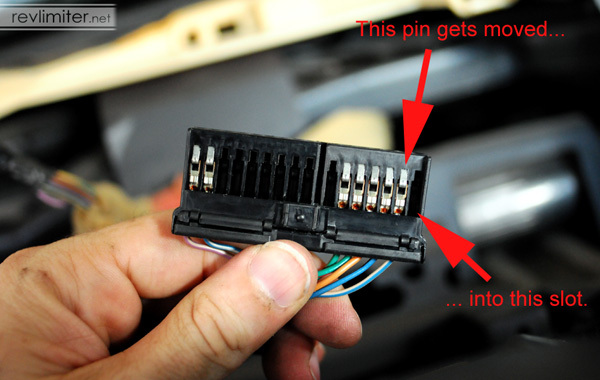 Problem: There was probably already a pin in slot N. We just move this pin to an unused slot. There are a lot of them in this connector. 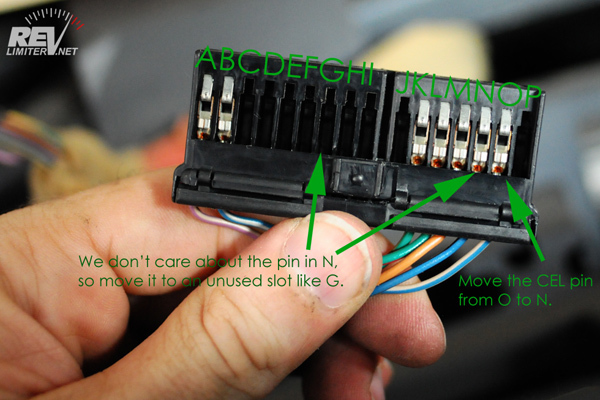 I chose slot G. Just make sure there's nothing on the gauge circuit board that goes to this pin. The OEM CEL location is 6 o'clock on your speedometer. Some of the gauges I make have zero at 6 o'clock on the speedo and the CEL moved next door to about 5 o'clock. 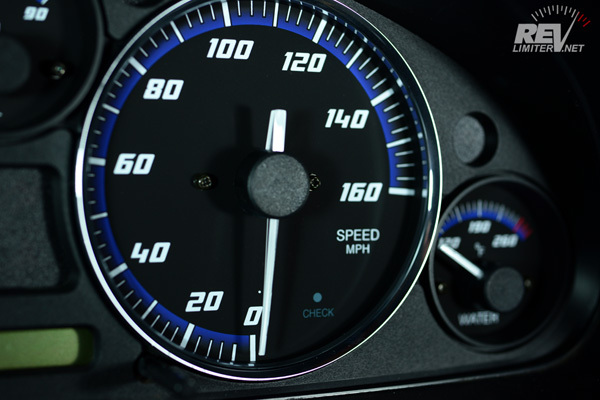 If you have a set of these gauges, you'll want to do the work in this section. It looks a bit complicated but is really quite easy. 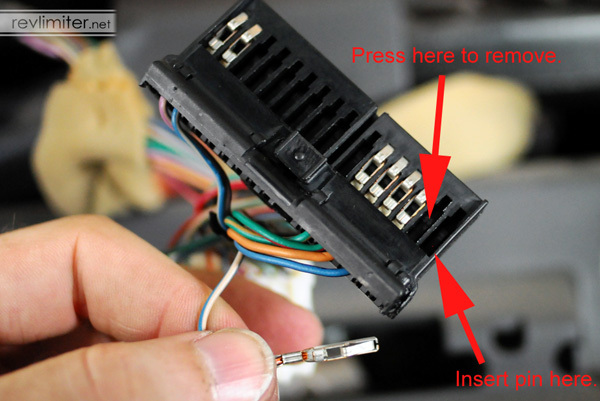 You just pop open this little black connector and move a wire from one slot to another as shown in the pic above. 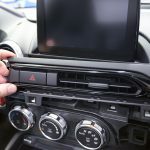 This enables you to keep your CEL, but get rid of the 8 o'clock zero position that the stock tach and speedometer use. Move the pin into the far right slot, right next to its old location. Final step: Move the bulb over. It's on the back side of the speedometer. There should just be an empty slot next to the old/OEM CEL location. At least, there's an empty slot on 99s and 01s. I suspect 02-05s are the same. And that's it. The computer will still light the CEL happily and have no idea anything is different.